Tag Archives for " Automatic Customer "
Recurring revenue – now that’s business owner’s dream – or at least it should be! Creating a model where customers come back over and over again is a powerful way to build ongoing momentum and perhaps more importantly it’s a way to build a business that’s an asset rather than a job. 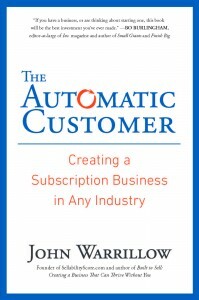 For as long as I can remember I’ve been urging product business to create subscription add-on services and service business to turn their services into a consumable recurring revenue product. The thing about business a business where your customer revenue is predictable is that it often requires you to create a system that others can operate independent of the business owner. When you do that, it’s pretty easy for someone wanting to buy your business to see how it can still operate even when you are gone. My guest on this week’s episode of the Duct Tape Marketing Podcast is John Warrillow, creator of the value builder system and author of Built to Sell. 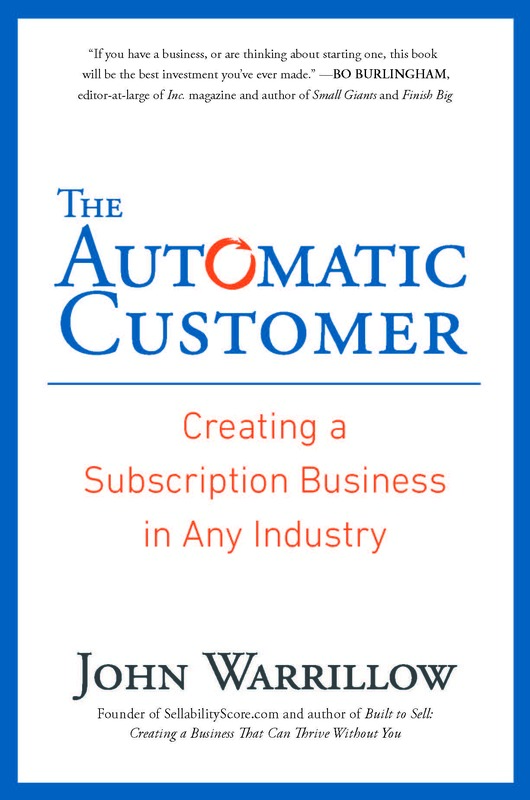 His newest book, The Automatic Customer: Creating a Subscription Business in Any Industry is available now on Amazon. Warrillow had a subscription business and sold it to an organization that knew it could run without him – and it’s still ticking along nicely without him. How would you define a subscription business? Could this be looked at as financing? Where are some industries that are prime for a subscription model that aren’t currently using them?